This year, for the first time in its 11-year history, the Canadian Women's Hockey League will offer its players a paycheque. But they still need day jobs to make ends meet. Cassandra Poudrier spends her days at a Montreal high school, where she works as an integration aid for students who need extra help. 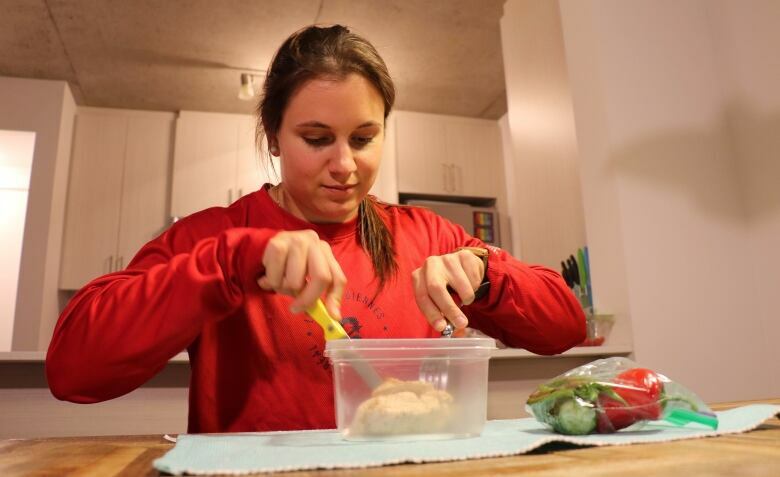 The job can be demanding, especially since, in her off hours, she plays hockey for the Montreal Canadiennes in the Canadian Women's Hockey League. For the 24-year-old native of Sherbrooke, Que., juggling the two commitments is worth it. 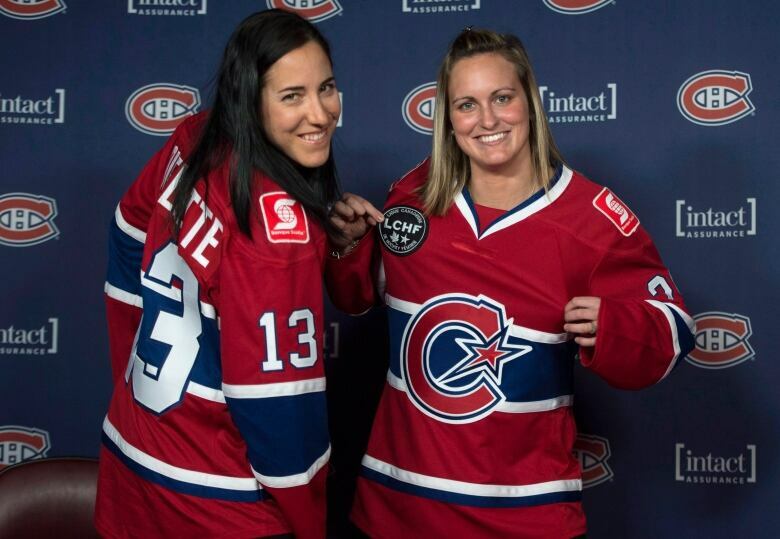 "It's a really proud thing to be able to say I play for les Canadiennes," she said before practice recently, "...the glory that comes with it, but also the respect." Poudrier isn't the only one engaged in a balancing act. Cassandra Poudrier grabs a quick bite before heading to practice. 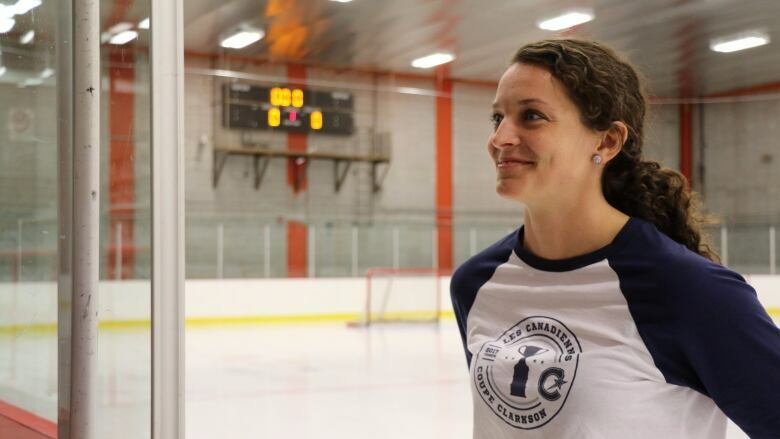 She balances her job at a Montreal school with her role on the Montreal Canadiennes. 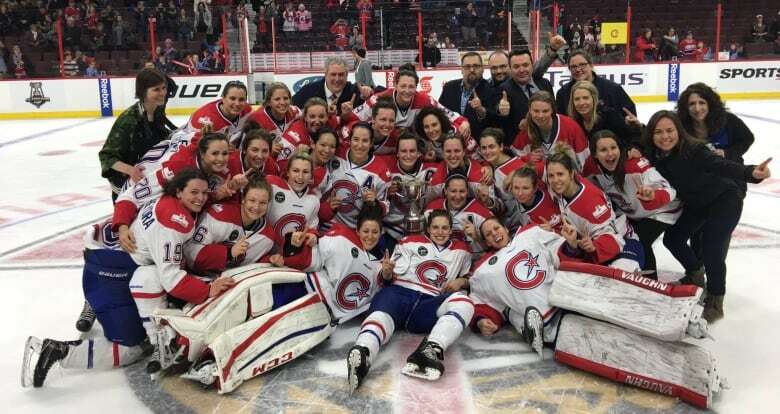 (Alison Northcott/CBC)Other players on the Canadiennes, the reigning Clarkson Cup champions, hold down work as teachers, financial advisors and coaches. This year, for the first time in its 11-year history, the CWHL will offer a tangible reward for all those hours of training, travel and games: a paycheque. Players will get between $2,000 and $10,000. "We are not making millions yet, but it's definitely going to help with expenses, buying some equipment," Poudrier said. "Obviously, I'll have to keep my day job. It's not a living wage yet.... Our dream is just to live off of that." The extra cash comes in part from the addition of two Chinese teams to the league. China has been investing in hockey ahead of the 2022 Beijing Olympics. Brenda Andress, the CWHL's commissioner, said the deal means new sponsors and more exposure. "If you look at China and the magnitude of their business and the magnitude of the population there, it's the perfect opportunity to grow our game," she said. In the U.S., the National Women's Hockey league was the first women's league in North America to pay its players. But last year, the league significantly cut their pay, blaming poor attendance. The CWHL is taking a more cautious approach. Launched in 2007, the league didn't pay player salaries for the first 10 years of its existence. In recent years, however, it has covered the cost of travel and some equipment, and some players have been eligible for prize money. "Just a few years back, we had to pay for this league, to play," said Katia Clement-Heydra, a forward for the Canadiennes. "So now to be given money, it's just — it's huge." In the long term, the league hopes its growing fan base and partnerships with NHL teams such as the Montreal Canadiens will pay dividends. 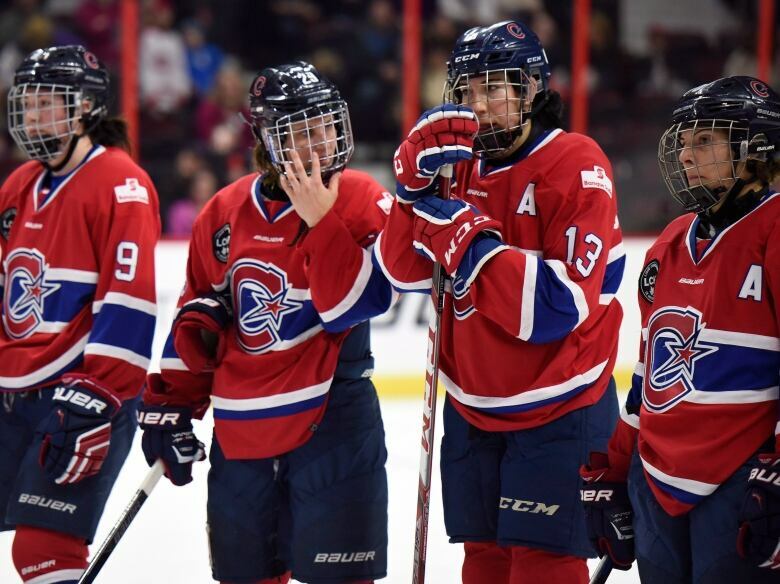 Meg Hewings, the Montreal Canadiennes' general manager, acknowledges, however, that paying players a living wage is a long way off. "It might not be in this generation, say, or in the next two years that they're going to get a full-time salary, but they are playing because they love it and because they believe that all the little girls that are coming to our games now are going to have that opportunity down the road," Hewings said.